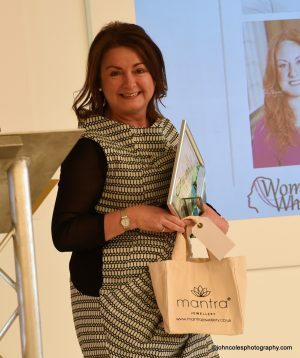 We said our Congratulations to Julie McGarrigle of Alsters Kelley Solicitors, Winner of the Woman Who…Networks Award earlier this year. 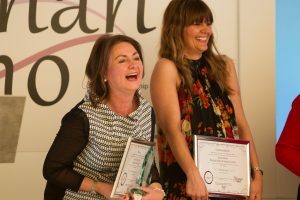 “Julie is typical of many women in business I meet who have really achieved in their role but don’t always have the confidence to recognise and highlight those achievements. I meet and chat to all the Finalists prior to their interview with the judging panel. I feel this is really important to keep them relaxed and focussed. Everyone is nervous when they arrive but they network with the other Finalists and all are genuinely grateful for the opportunity. Alsters Kelley Solicitors employs approx. 100 people and currently has 4 offices in Leamington Spa, Coventry, Nuneaton & Southam. They are a full service legal firm and their focus is on providing Kind, Helpful, Excellent legal services to individuals and business owners like you and I. “No-one was more surprised than me when my name was read out as the winner of the Woman Who…. Networks Award 2017 and I was actually speechless! It is a huge honour for me and for Alsters Kelley to have been recognised in this way. I am so pleased I made the effort to enter the Awards the process was very simple and a great experience from start to finish. We opened the doors to Sipsey in June 2015 in Solihull. The main unique aspect of our boutique is our expert fitting service. As an independent retailer, we have the greatest understanding of each and every one of our products and how each piece of clothing fits so we can find the perfect fit for our ladies, and the best part about our fitting service is that it’s completely appointment free, women are welcome to walk in anytime they like between opening hours to receive a personal fitting or advice – we not only cater to every day lingerie fittings but also specialise in mastectomy, maternity & first teen fittings. We’re not just limited to lingerie fittings either, we also offer a fitting service for our unique range of swimwear, shape-wear, nightwear and hosiery. Every brand we have to offer in the boutique is here because it has been hand-picked for its high quality, excellent fit and uniqueness to our boutique! Are you joining us in Coventry or Leicester?